I'm that person you meet at a party who wants to know all about your job. What would people be surprised to know about your work? Learning about people's career paths is fascinating to me. I'll happily encourage you to talk my ear off about your work if you meet me at a party. That interest in how people make career choices and achieve their work-related goals is what got me started in my own work as a career advisor. 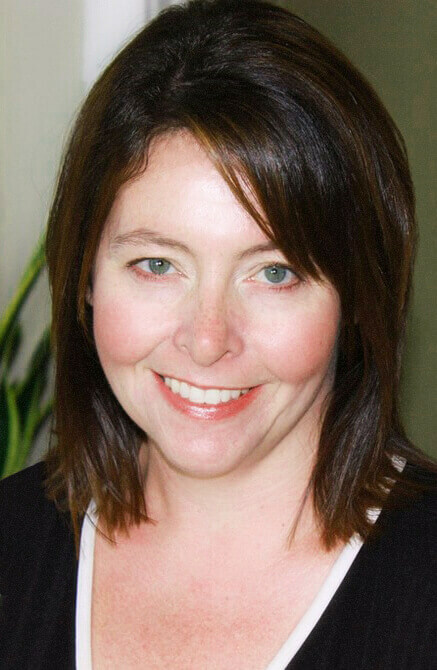 I'm Lisa McGrimmon, and I write all of the articles on this site. I've worked for years as a career advisor, and I'm completely convinced that career management skills are basic, essential life skills. All people need and deserve access to the knowledge and skills required to manage their own careers. Your job has an enormous impact on almost every aspect of your life. It affects how you spend hundreds of hours of your precious time. It can also have a huge influence on where you live, who you spend time with, and how much money you have for necessities, future planning, and fun. It can influence your overall happiness and sense of well-being, and if you're not happy in your work, it can affect your relationships with others. Anything that impacts your life that much shouldn't be left up to random chance. When you have good career management skills, you have a lot more freedom to direct the course of your life. I believe everyone, no matter what strengths and challenges they bring to the table, deserves to have access to information that can help them find the right job and build a rewarding career. I'm on a mission to take everything I know about job search and career planning and share it online. 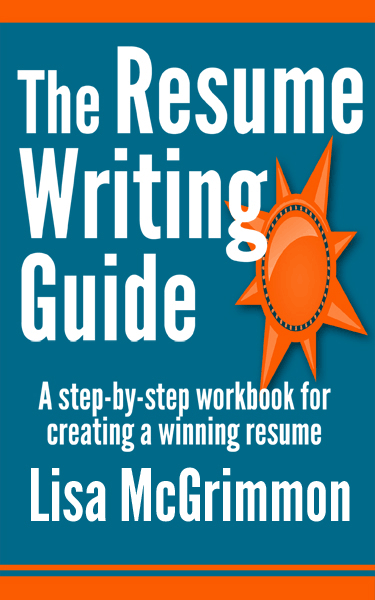 I write all of the articles you'll find on CareerChoiceGuide.com, and I've also written The Resume Writing Guide, a book that takes you from blank computer screen to winning resume one manageable step at a time. It has sold thousands of copies and has some wonderful Amazon reviews that completely warm my heart. Unfortunately, there's a lot of truly awful job search and career management advice out there. Some career-related websites and popular media are full of terrible ideas that no self-respecting, professional career advisor would ever recommend. Some "experts" believe that having their own successful career in any industry qualifies them to advise everyone else on career planning. That's usually when you start to hear goofy advice like, just follow your passion and the money will come. A professional career advisor will tell you that's magical thinking and then will ask you about your experience and interests, plus a multitude of other factors that go into making smart career decisions. Other "experts" think that because they wrote a resume once, they are now qualified to help everyone else write effective resumes. That belief is why the internet is, unfortunately, full of of fancy, multi-colored, high design, low content "creative" resumes that no employer wants to see, ever. Professional career advisors keep in touch with employers and know what they actually want to see on a resume. They will tell you that employers do not want multi-colored resumes written using templates with tables, fancy fonts, and complex designs. They will help you write a resume that honestly shows you in your best possible light and meets real employers' expectations. Want to Know a Bit About My Career? Most people don't love resumes the way I love resumes. I'll spare you from reading my full resume on this page, but if you're curious, and you want to read a more complete outline of my professional experience, you can read it here. How can I help you on your quest to find work and plan your career? I studied job search strategies and career development in the Career and Work Counselor program at Sir Sandford Fleming College. At Fleming College, I did coursework that taught me how to help people conduct an effective job search and make smart career choices. I was fortunate to complete an internship at the Career Services department at York University where I worked with a wonderful mentor who taught me how to help clients write truly effective resumes. In my first job as a career development practitioner, I worked as a Three Day Job Club facilitator. As a Job Club facilitator, I worked with approximately 2000 clients from all kinds of backgrounds. Who came to my workshops? There aren't many job search-related questions and concerns I haven't heard and helped clients manage. All of my clients brought with them their own unique set of strengths that would help them build a rewarding career, and they brought challenges that made job searching difficult. My job was to help them find and highlight their strengths and overcome their challenges. In spite of the challenges they had to overcome, participants in my workshop had an 80% success rate. I moved on from facilitating the Three Day Job Club and started work as a vocational rehabilitation case manager. My job was to work with injured workers who had to make a career change because their injuries prevented them from returning to their previous jobs. I worked with individuals to help them choose a suitable new profession. I researched the training and experience they'd need to find work in their new career, created retraining plans, and then supported workers through the entire retraining process. The work I did with my clients had a big impact on their ability to provide for themselves and their families, and some of the training plans I developed cost upwards of a half million dollars. It was essential to get these career decisions right. I combined that individual information about each client with an assessment of the labor market and jobs and training available locally to help clients choose a new career and then complete the training required to make that transition. The bad career advice you find everywhere online - like pretty, but ineffective resume templates, and hopeful, but empty promises about following your passion - can do a lot of harm to unsuspecting people who are genuinely working hard to find a job and build a career. I've seen first-hand how easily bad career advice can devastate a person's life. Several years ago, a client came into my office on the verge of financial ruin. He had been an automotive mechanic, but he had an injury that made a career change necessary. He decided small machinery repair and maintenance would be physically safe for him and a good fit for the skills he already had. So far, so good. It sounded like he had made some smart career decisions. Then he told me he had been out of work for six months. He had applied to a lot of jobs, but he hadn't been called for a single interview. Naturally, I asked him to show me his resume. This man had years of experience as a mechanic with loads of skills that made him well suited for a job in small machine repair and maintenance. But none of it was on his resume. Some misinformed person had told him to take all of his work experience off his resume because it wasn't directly related to the work he was pursuing now! I can feel my heart rate rising as I type this story. No experienced career advisor would have ever given this client that kind of advice. It was that awful advice that left him out of work for six months, feeling terrible about himself, and put him on the brink of financial devastation. That day, we added all of his previous work experience to his resume and ensured it was written in a way that demonstrated he was interested in and qualified for work that involved small machine repair and maintenance. It wasn't long before I had a call from that client. He said he had landed a job as a maintenance person at a local golf club. He told me it was his dream job and he was completely relieved to know he'd soon have a regular pay check coming in again. Of course, I was completely thrilled for him. But I was also heartbroken that he had to go through six months of financial stress and worry because he had previously trusted someone who gave him terrible job search advice. Every time I see a pretty, but outrageously bad resume template online, or another video passed around Facebook that says we should all just follow our passions, I think of my clients who needed real, effective advice that would help them actually achieve their career goals. I wonder where they would be if, instead of talking to a professional, they had stumbled upon unhelpful, and even damaging information online. I loved working with my clients. It was a huge privilege to be a part of their lives and their career development. Some people, for a variety of reasons, can't work in-person with a career advisor. For those who can't work face to face with a professional career advisor, I'm sharing everything I know about job search and career management on Career Choice Guide. I hope to have the privilege of playing a part in your career planning and job search success!